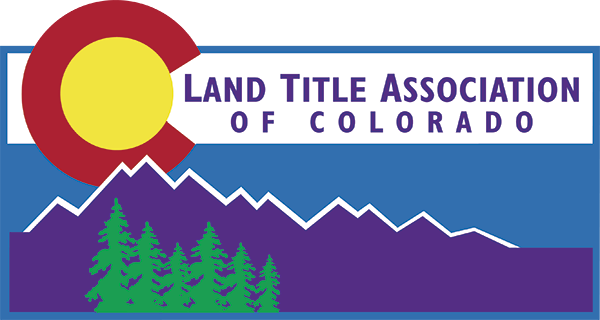 Membership in LTAC is an investment in your business, in your community and the Colorado title industry. Collectively we’re making a difference! Join the partnership of professionals working together to bring title industry issues to the forefront of Colorado. Giving you a voice in the future! Get a seat at the table! LTAC protects and promotes your interests both on the Legislative and Regulatory fronts. We are looking after your business by lobbying legislators, attending and testifying at committee hearings, keeping you informed regarding bills affecting the industry, meeting with the Division of Insurance on a quarterly basis, and attending Title Insurance Commission (TIC) meetings. Through these efforts, we ensure that rules, laws and policies in Colorado meet the needs of both the title industry and consumers. On pertinent issues before the Colorado courts, LTAC files amicus briefs to advance, advocate, and promote the title insurance industry’s interests. LTAC members receive regular communications regarding the latest industry developments via LTAC e-updates, and Grassroots action alerts. LTAC e-updates provide timely industry information that you need to maintain a competitive edge. LTAC offers the Colorado Title Institute in both the spring and fall, an annual convention and two designation programs. We have both the Certified Title Insurance Specialist and the Certified Escrow Settlement Specialist. Not only are this events excellent networking venues, the knowledge gained increases efficiencies and effectiveness in your day-to-day. The annual convention includes both agent and underwriter forums so members may discuss important issues facing the industry and help guide the Association's industry initiatives. In addition, members receive discounted member registration fees for employees who attend educational and networking events. LTAC members have exclusive access to industry information via our members only section of our website. Instead of searching the web or making multiple phone calls, save time and money by logging on and accessing what you need to make your business more productive and increase your bottom line.